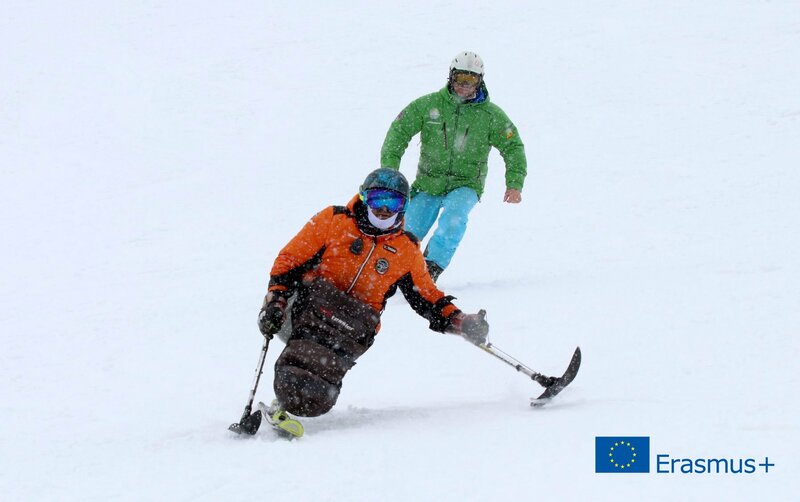 9 April 2019 // “SKI for ALL” is a European project of the Erasmus+ Sport program coordinated by ASBI, the Italian Spina Bifida and Hydrocephalus (SBH) association in partnership with IF, Freerider Sport Events, FAIP, Active Therapy and Handy Club – Ostrava. The project involves 4 countries: Italy, Belgium, Czech Republic and Poland. The themes of the project are sport, disability, education and social inclusion, and the main objective is to include young people with spina bifida or traumatic injuries in sport activities, skiing in this case, and discourage early school drop-out. Sport is a fundamental step towards promoting the inclusion of children with disabilities,as well as their personal well-being, expressing physical, cognitive and interpersonal skills. The project is based on a multidisciplinary methodology, which provides children with disabilities with all the support they need, thanks to coaches who will evaluate their attitudes and teach them how to ski in a safe way, and without missing the more interpersonal and empathetic aspects of the sport.